hE bhagavathi! How do we praise you? Your consort is nArAyaNa, purushOththama the supreme among men. ; Adhi sEsha the best among the serpents is your bed and seat; garuda the figure of scriptures is your mount; mAyA that which confuses/confounds the world from knowing you is the veil; brahmA, Siva and other gods with their consorts are your servants; your name is SrI the word that stands before any word indicating supremacy. How do we celebrate you with so much of magnificance? I praise you and sing about you without any fear, as a devotee and refugee, though naturally your greatness is such that it can not be measured nor can it be stated even by your most loving all-powerful divine Consort. Oh the sole Mother of the world! The singularly great Consort of nArAyaNa the all permeating Lord! Oh the most Compassionate! I say so because I know your Grace. The three worlds are protected by the nectar that is the mercy showering glance of your eyes. The same realm which was in total destruction due to the lack of your glance is now seen in variegated forms [due to the merciful glance]. All the best results such as worldly pleasures, pure self-enjoyment and serving bhagavAn eternally are acquired by men not without the mercy of pirAtti who is the divine consort of puNdarikAksha (lotus eyed Lord). Your connection with the Lord in all His Forms is spoken here. 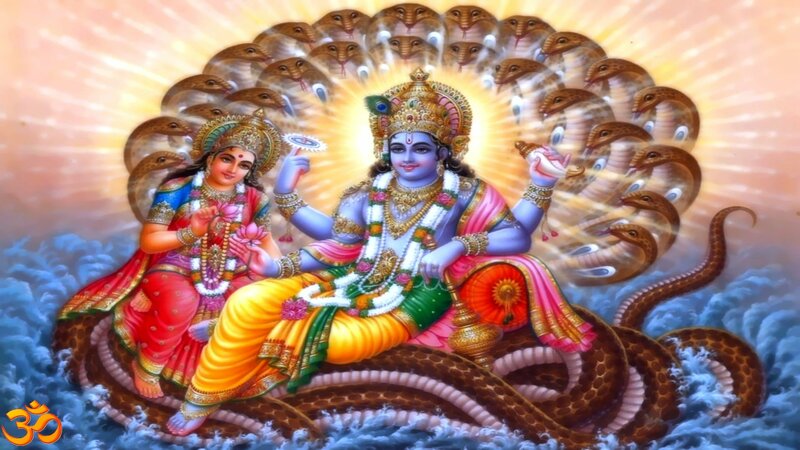 His magnificent Form in parama padham, or something which is more alluring and pleasing to you than that, or Whichever He assumes for your Pleasure as leelA (play) all these Forms are embraced by you with great pleasure and in full measure. Thus pirAtti‘s connect with Him in all His positions are s​tated. This entry was posted in chathu: SlOki, Other on December 3, 2015 by Sarathy Thothathri.